History may be made in several categories when the 47th annual Country Music Assn. Awards are telecast on Nov. 6. Taylor Swift is vying to become the first female to win Entertainer of the Year three times. She is currently tied with Barbara Mandrell as one of only two women to have won the award twice. Mandrell won in 1980 and 1981. Swift won in 2009 and 2011. But CMA favorite George Strait, who lengthened his lead as the artist with the most Entertainer of the Year nominations (18), is gunning for a record of his own. He’s vying to become the artist with the longest span of Entertainer of the Year awards (24 years). He first won in that category in 1989. Strait, 61, would also become the oldest Entertainer of the Year winner. This is the third year in a row that Swift, Jason Aldean and Blake Shelton have been nominated for Entertainer of the Year. (Shelton won last year). The fifth nominee, breaking into the finals for the first time, is the red-hot Luke Bryan. Two of last year’s Entertainer of the Year finalists, Brad Paisley and Kenny Chesney, were passed over for nominations in that category this year. This is the first time that Paisley has missed the cut since his nomination streak began in 2005. Swift is also vying to make history in the Album of the Year category. She would be the first female vocalist to win the award twice. 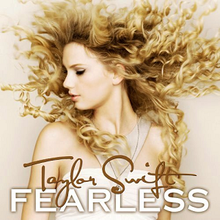 She won in 2009 for Fearless and is nominated this year for Red. 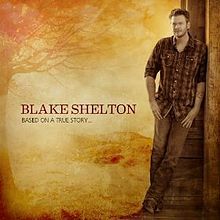 Also nominated in the category: Blake Shelton’s Based On A True Story…, Carrie Underwood’s Blown Away, Kacey Musgraves’ Same Trailer Different Park and Little Big Town’s Tornado. Swift and newcomer Kacey Musgraves lead the CMA’s list of nominees, with six each. 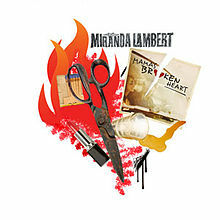 Miranda Lambert and Blake Shelton each have five. (Lambert’s tally includes two she received with Pistol Annies). Florida Georgia Line and Keith Urban each have four. 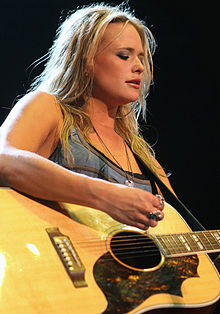 Miranda Lambert is vying to become the second female to win Female Vocalist of the Year four years in a row. The first was Reba McEntire, who won every year from 1984 through 1987. 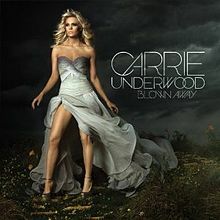 Carrie Underwood is also vying for her fourth award in the category, though hers wouldn’t be consecutive. McEntire and Martina McBride are currently the only women to have won four times. This year’s other nominees in that category are Taylor Swift (who won in 2009), Kelly Clarkson and Kacey Musgraves. Blake Shelton is vying to become the second male to win Male Vocalist of the Year four years in a row. The first was Vince Gill, who won five years in a row from 1991 through 1995. Keith Urban is also vying to win his fourth award in the category. He won from 2004 through 2006. 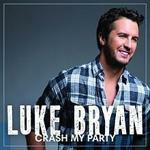 The other nominees are Jason Aldean, Luke Bryan and Eric Church. Florida Georgia Line is vying to become the second duo to win as New Artist of the Year (formerly known as the Horizon Award). The first, 29 years ago, was The Judds. But Kacey Musgraves is also a strong contender. She would be the first female solo artist to win in that category since Taylor Swift in 2007. Musgraves is nominated for both Album of the Year (for Same Trailer Different Park) and Single of the Year (for “Merry Go ‘Round”). Musgraves is vying to become be the first artist ever to win Album of the Year and New Artist of the Year in the same year. She would be only the fifth artist to win Single of the Year and New Artist of the Year in the same year. The others to do that are John Anderson in 1983 (when “Swingin'” won Single of the Year), John Michael Montgomery in 1994 (“I Swear”), Alison Krauss in 1995 (“When You Say Nothing At All”) and The Band Perry in 2011 (“If I Die Young”). 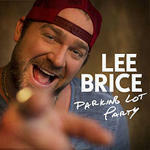 The other nominees for New Artist of the Year are Lee Brice, Brett Eldredge and Kip Moore. This is the second year in a row that Brice has been a finalist, which is allowable by CMA rules. Kacey Musgraves andShane McAnallycollaborated on two of the five finalists for Song of the Year: Musgraves’ hit “Merry Go ‘Round” (which they co-wrote with Josh Osborne) and the Miranda Lambert hit “Mama’s Broken Heart” (which they co-wrote with Brandy Clark). The two remaining Song of the Year candidates are the Lee Brice hit “I Drive Your Truck” (by Jessi Alexander, Connie Harrington and Jimmy Yeary) and Little Big Town’s “Pontoon” (by Natalie Hemby, Luke Laird and Barry Dean). 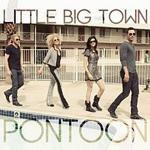 The latter nomination is an oddity: That single was named Single of the Year on last year’s CMA telecast. Little Big Town, which last year broke Lady Antebellum’s three-year hold on the Vocal Group Of The Year award, is defending its title against Lady A, The Band Perry, Zac Brown Band and Eli Young Band. Thompson Square, which last year broke Sugarland’s five-year hold on the Vocal Duo of the Year award, is defending its title against Sugarland, Big & Rich, Florida Georgia Line, Love and Theft and The Civil Wars. 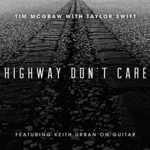 Tim McGraw and Vince Gill are each vying for their fourth award in the category of Musical Event of the Year. If either wins, he’d be tied with Brad Paisley for the most wins in the history of the category, which was introduced as Vocal Event in 1988. 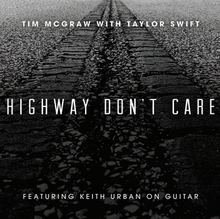 McGraw is nominated for “Highway Don’t Care,” his collabo with Taylor Swift and Keith Urban. Gill is nominated for his featured role on Kelly Clarkson’s “Don’t Rush.” The other nominees are “Boys ‘Round Here” by Blake Shelton featuring Pistol Annies; “Cruise” by Florida Georgia Line featuring Nelly; and “The Only Way I Know” by Jason Aldean with Luke Bryan and Eric Church. Guitarist Mac McAnally is vying for his sixth consecutive award as Musician of the Year. He’d be only the second musician to win six years running. Mark O’Connor won every year from 1991 through 1996. Guitarist Dann Huff, who has won twice, is also nominated. The other finalists are guitarist Brent Mason, steel guitarist Paul Franklin andmandolin player Sam Bush. CMA awards aren’t based on sales, but, as with all other music awards, big sales never hurt. Swift’s Red has sold 3,800,000 copies, according to the latest Nielsen SoundScan figures—which is more than the other four Album of the Year finalists combined. Here they are again, in descending order of sales: Underwood’s Blown Away (1,526,000), Little Big Town’s Tornado (973K), Shelton’s Based On A True Story… (854K) and Musgraves’ Same Trailer Different Park (209K). 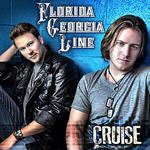 Florida Georgia Line’s “Cruise” has sold 5,762,000 copies, which makes it the second best-selling country song in digital history. 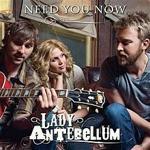 The leader is Lady Antebellum’s “Need You Now” (6,205,000). “Cruise” has sold nearly as many copies as the other four Single of the Year finalists combined. 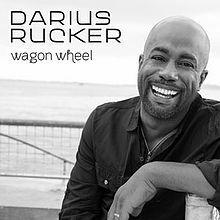 To recap, they are Rucker’s “Wagon Wheel” (2,192,000), the McGraw/Swift/Urban collabo “Highway Don’t Care” (1,626,000), Lambert’s “Mama’s Broken Heart” (1,436,000) and Musgraves’ “Merry Go ‘Round” (744K).